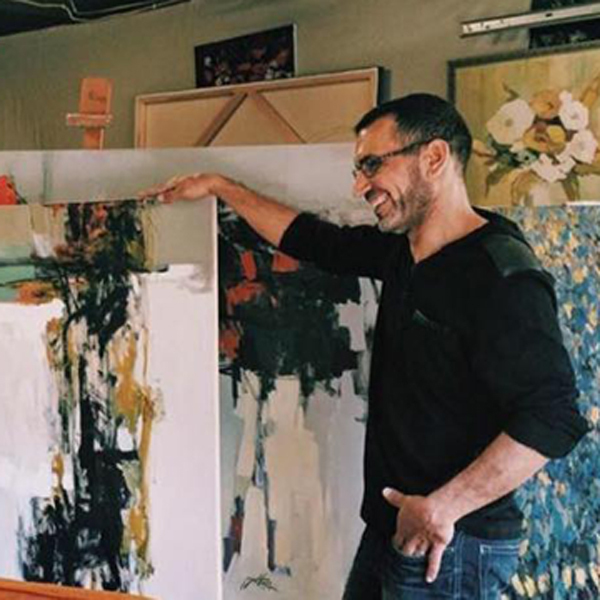 Nazar Harran received his Bachelor's Degree in Fine Art from Baghdad University's School of Fine Art in 1994, where he studied for 6 years. In 2001 Nazar and his family emigrated from Jordan to the United States and settled in Pennsylvania, where he studied Art and Graphic Design at Northampton Community College in Northampton, PA. He has worked as an art critic and graphic designer for the Azzaman Newspaper in the UK, set designer for television, freelance photographer, art instructor to adults and children, illustrator, and muralist. His work has been showcased in galleries and exhibitions in Jordan, Iraq, and the United States. He has worked in all mediums, but loves to work in oils. Nazar and his family are currently living and working in Fort Wayne, Indiana. -Art critic and graphic artist for the Azzaman Newspaper in the U.K.